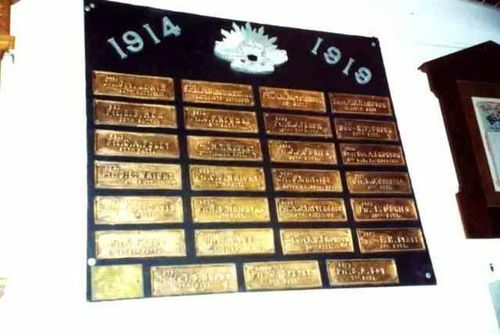 The plaques were originally placed on trees at the school in 1920 and contained the names of 27 soldiers who served in World War One. A soldiers' avenue has been planted from the entrance gate to the East Bendigo State school, and metal discs attached to each tree, giving the names of soldiers from that locality who enlisted and went to the front on active service. Age (Melbourne), 14 December 1920.